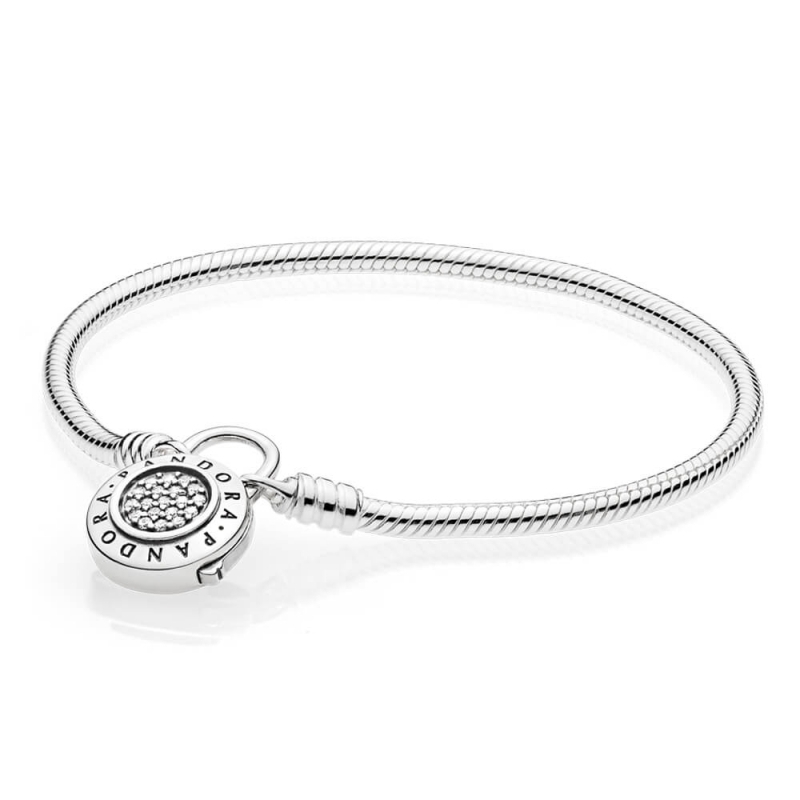 PANDORA Moments Smooth Silver Bracelet - Signature Padlock. A unique twist on an iconic design, this sleek sterling silver bracelet takes inspiration from some of PANDORA's classic designs. With a stylish padlock clasp, embellished with an array of dazzling cubic zirconia stones and signature PANDORA lettering.